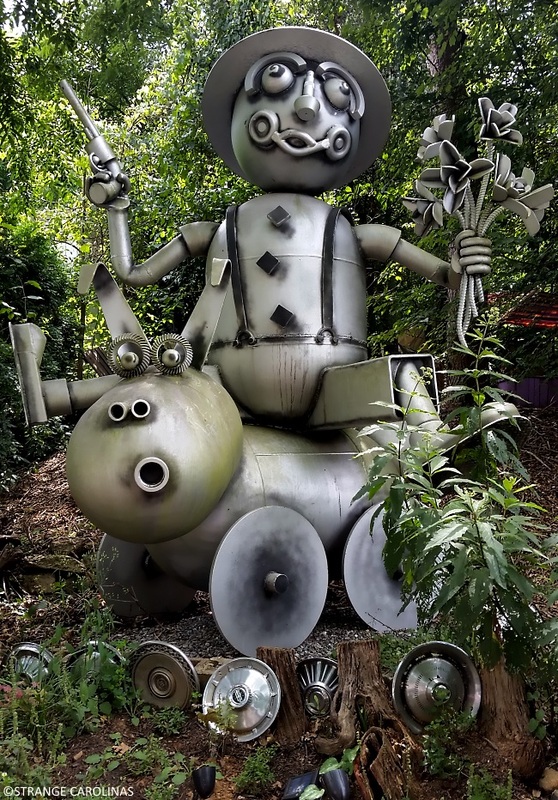 "Guns And Roses," a metal sculpture created by Stefan "Steebo" Bonitz, can be found in a park in Asheville. I was drawn to it because of its name and the simple fact that it's a guy waving a gun in the air while riding a pig. You can see more of Mr. Bonitz's artwork at his official website.